Someone says ' I have been shopping for my life and I have nothing to wear'. If you are one of these persons who agree with that saying then you are at the right place now as this article is for people who are passionate about shopping! Shopping is a must activity when you travel. It's generally thought that women are fond of shopping but men do also really love to shop at different places in different cities. So we can say that you are lucky if you plan a Barcelona city travel as this amazing city is a candidate to be a fashion city in the world. You have lots of options at different styles so whatever your style is you will find the greatest product you want. While you wander in Barcelona city, it's really easy to realize that this lovely city lives in various life style and you can find many fine products ranging from handmade to manufacturing goods. So what makes Barcelona attractive about shopping? What about London, Italy, Paris, New York or Berlin? Yes, these capital cities are one of the best shopping centers of the world but Barcelona is cheaper than these cities even the city offers very fashionable goods. For where to shop in Barcelona city, you can check our articles about shopping options and places. We try to be your Barcelona city travel guide and we hope you will enjoy your shopping after you read these articles about shopping in Barcelona city as any person who loves buying new things during travels know what he wants but may not know the best place to shop. Our shopping articles will include everything about the store names, the district explanations, the kind of products like handmade or manufacture goods, cheap or expensive shops or you would like something fashionable, vintage or historical, etc. Barcelona is a paradise for shopaholics. So decide what you want, arrange your pocket ( for any budget there are fascinating things) and come to Barcelona! In Barcelona city, you can do shopping easily. Vendors, sellers, sales persons or shop owners can speak English very well. In communication, you won't have any problem as they speak Spanish, English or Catalan. 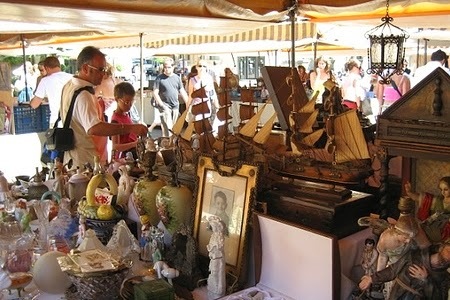 You can buy ceramics, wine, clothes, sweets or cakes at local stores, furniture, art works, souvenirs, handmade and craft clothing or electronics, etc. Are the shops close on Sundays? Are the shops close on holidays? Most stores in Barcelona city open at 9.00 or the latest 10.00 am. Local shops can be open till 8.00 or the latest 9.00 pm but larger shops like shopping malls are open till 10.00 pm. On Sundays, all shops are closed but you can find only Maremagnum Shopping Centre at harbour of Barcelona open on Sundays! Big shopping brand stores or shopping malls are not close for brunch but local shops are generally close for lunch time. Lunch times can change according to shops but generally it varies from 1.00 to 4.00 pm. Shopping On Holidays in Barcelona? On Good Fridays, Easter Mondays and Sundays shops and stores are closed. For other national and religious holidays opening times, please check before on the internet as the days may change annually. What about the Sales in Barcelona City? If you want to taste bargaining in a different city then two sales times in a year should be noted. For winter sales times you should start on 6th January till end of February and for summer sales times you should arrange your Barcelona city travel from mid June to end of August. You won't be able to believe your eyes as sales can be up to 50 or 75%. So When is Barcelona Shopping Night? Yes, you've heard right. There is an organization called Fashion and Shopping Night in Barcelona City held every year. As it reveals from the name, this organization is only one night but it is worth to attend as every year from nearby cities, more than 25.000 people join this event held generally in November night. Fashion and shopping night was inspired by Fashion Night Out organized by Vogue. For Barcelona Fashion and Shopping Night, Harper's Bazaar, the BCN city council and the associations of Passeig de Gracia make their contributions. Each year the exact date may change so it may be good to check beforehand if you plan a travel to Barcelona city in November. This is a Christmassy shopping event so it may be organized in 2014 in late November. On the event night, all streets where organization held are closed to traffic so you can wander around the city while you do your shopping. All the shops are open till 1.00 am on that night and music will be everywhere on the streets so enjoy spending money and joining some illustrations for Christmas time in Barcelona city. Here below there is a video from Barcelona Shopping Night 2012. 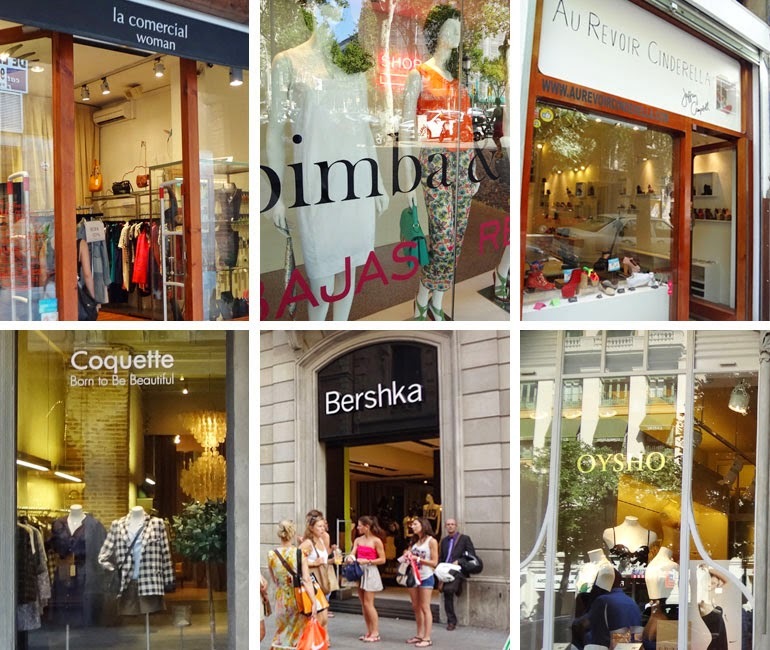 Where to shop or for the best stores in Barcelona city, please follow our other articles about shopping. There are many things to do in Barcelona city and shopping is just the one of this!